We're finally at the point where we have a pretty set schedule down. I love this stage that Jack is in, because he's getting more interactive and fun to play with, but he's also on a predictable schedule (for the most part). The first few months are hard because their sleep is always changing, they go through the 4 month regression, they're teething, they want to nurse around the clock etc., but now he's somewhat settled down, and we're in a good groove. Piper is going to start her first year of preschool next year in September, *insert ALL the tears*, so for now our schedule is based on whatever I want it to be each day. Every day I try to do a different activity to get us out of the house, and I make sure their afternoon naps overlaps, and that I have alone time with each of them individually. It's not always perfect, but routine is huge for them and me, and this is what works for us right now! 7:00am Jack wakes up, I nurse him, and we read books and play together. 8:00am Piper wakes up around 7:30-8:00am, and we head out on a walk. I usually just keep them in their pajamas and Pipes drinks her milk in the stroller. Breakfast Jack has lots of teeth, so he does well with solid food, and it keeps him busy. I get his breakfast so he's happy and then get some for me and Pipes. We also listen to "baby shark" about 50x during breakfast. That song is going to haunt me for the rest of my life. 9:30am I get them both ready for the day, and Jack goes down for his morning nap. I normally start a few loads of laundry, and do activities with Piper that are harder to do when Jack is awake. She LOVES painting and colouring (despite her face in this picture) or reading books together. We also bake a lot together, and make different treats to have on hand. These are the chocolate energy bites we made this week. Again, despite her face in this picture, she loves helping. 11:00am Jack wakes up, I nurse him, and we either head to the library, the store, meet up with cousins/play dates, go to the splash pad, swimming or something like that. 1:00pm I make them lunch (I have a post with some go-to snacks/meals for Piper HERE), change diapers, and put them down for naps around 1:30pm. Nap Time I clean up their lunch, make myself food, clean up from the morning, do work stuff, and sometimes workout if I'm not planning on doing it in the evening. 3:30pm Jack wakes up first, I nurse him, and we cuddle (he LOVES cuddling), read, and play together until Pipes joins the party (usually around 4 if I'm lucky). 4:00pm If we went out in the morning, we stay home and they play together. If we didn't, then we'll head out and do an activity. They're starting to play pretty well together, but Jack's crawling and putting anything and everything into his mouth, so I have to keep a close eye on that one. I try and fold/put away laundry, finish up projects, and clean up a bit while we play. 6:00pm We have dinner, clean up, they take a bath together, and get ready for bed. 7:00pm I nurse Jack and put him down. He used to sleep for 11 hours straight, but when he got 5 teeth all at once, he had a hard time and wanted to nurse a lot in the night. He kept waking up during the night after that, so I've been slowly breaking that habit again. He usually sleeps until 5am, will nurse and go back down for a couple of hours. Sometimes he'll wake up at 1am too. I need to be tougher with him, but he's still sleeping in my room while we're at my mums house (we'll be moving into our own place once a couple of things are in place), and it's hard to let him just cry it out in the middle of the night. 7:30pm Piper goes down between 7:30-8:00pm, so we get some alone time again. We cuddle, read lots of books, and she bosses me around a bit more before bed. I look back on every day and I'm like...wait, what the heck did I do today?? With being a full-time stay at home mum, there isn't really a check list of things you're doing throughout the day, but you're always busy! Whether it's nursing, pumping, feeding Piper, cleaning up after her, doing laundry, playing with toys, cleaning the house, changing diapers...there's always something. Looking after two tiny humans who are 100% dependent on you is non-stop and exhausting, but it's the best thing in the world. I want to do more posts of just every day daily life, and how my approach to "living a healthy lifestyle" fits into that. I kept tabs of what this past Thursday looked like for us, what we ate, what we did etc. Nothing crazy or wild going on over here, just figuring out little Jack and our new life with him. Piper slept in a bit and woke up just after 8:00am. Normally I'd love the extra time to sleep, but Jack woke up to nurse at 7:30, so I nursed him and started a load of laundry. When Piper started crying I got her bottle of milk along with some warm water with fresh lemon juice and cayenne pepper for me. This is good for detoxing the body, good for circulation, aids in digestion, and helps jump start the metabolism or the day. We drank our drinks and partied in bed for a little. Anddd by that I mean I changed both of their diapers and protected Jack from Piper's overly aggressive smooches. I got Jack ready for the day and nursed while Piper read us some stories and pulled out every single one of her toys. Also, please note all the bows in her hair haha. She's hoping to start a new trend. Piper's breakfast was 1/2 an avocado, 1 egg, and a slice of wheat toast with organic jam. This bowl is from Avanchy and it has that suction thing at the bottom to keep it in place. It's the best!! I had 2 eggs, green pepper, spinach, and tomato on sprouted ezekiel bread topped with cholula sauce and Trader Joes "everything but the bagel" seasoning (this stuff is amazing!). I cleaned up after breakfast, got Piper ready (which takes 10x as long as it needs to because she rolls around and screams when I try putting clothes on her), and we headed out for a walk while I listened to THIS podcast. I normally put Jack in the stroller too, but he was being fussy, so I kept him in the SollyWrap. Piper went down for her nap when we got back and I sent some emails and finished up some collaboration projects. I normally use this time to get everything done and finished, but I chose to just rest and take a nap today because I've been so go-go-go lately, and I know my body still needs rest. I grabbed an Oatmama lactation bar, and Jack took a snooze on my skin while I rested. I was in the middle of pumping the milkies when Piper woke up, so I grabbed her, finished up, did more laundry and made us some lunch. Piper had a quesadilla (sprouted tortilla and cheese cooked with some coconut oil), cucumber slices, and black beans (she ate 2 of them....and smushed up and threw the rest on the floor. Excellent). I had some leftover ground turkey on a bed of spinach and lettuce, with an avocado. I used this dressing on top. I cleaned up, we played some more, started more laundry, and Piper helped me clean the bathrooms while Jack napped. By that I mean she took everything out of the bathroom cupboards while I cleaned haha. It seems counterproductive because she makes more mess, but it keeps her busy so I'll take it! We coloured, read more books, and played with her blocks all while nursing and cuddling Jack. I'm learning how to juggle my time and attention (everyone just wants a slice, ya know? ), and it's quite the transition. I feel a lot of guilt over not being able to cuddle Jack 24/7, and also not being able to do as much with Piper. I'm just doing the best I can. I try to make sure Piper and I still do things just us two to help her with this transition too. I was feeling some cookies, so we made zucchini chocolate chip ones (I posted the recipe HERE). Things got REAL messy, but she loved it. She had a cookie and I had like...3 haha. I made THIS chicken spinach pasta bake with steamed broccoli for dinner, and Jordan came home while it was in the oven. He took over Piper duty while I nursed Jack. The rest of the night consisted of eating dinner, cleaning up, giving Piper a bath, putting her down, and snuggling Jack while we watched Netflix and I worked on projects in bed...andddd snacked on cottage cheese and berries, and another cookie haha. 7 more weeks to go! I had a doctor's appointment last week, and baby boy was measuring right at 32 weeks. **All previous weekly updates are under HERE. Baby boy is apparently putting on 1/2lb a week now, and plumping up quite nicely. He's still sitting very low and jabbing me with his elbow and feet all day and all night. It's such a weird feeling, but I love it and I know I'll miss feeling his movements as I go about my day. I carried Piper really high, so she was always kicking my ribs and making them sore at this point. Since I'm carrying lower, I haven't had that problem at all which is so nice, but I think it's caused a little more lower back pain and achy hips. Sleeping is the biggest problem right now because my hips ache after being on my side for too long...but I can't lie on my back or my stomach. I'm tossing and turning all night long, which I'm fairly certain Jordan does not appreciate haha. I figured out if I prop myself up with 4 pillows, and 1 behind my back, I can actually get to sleep! I'm taking over the bed, one pillow at a time, but it works! 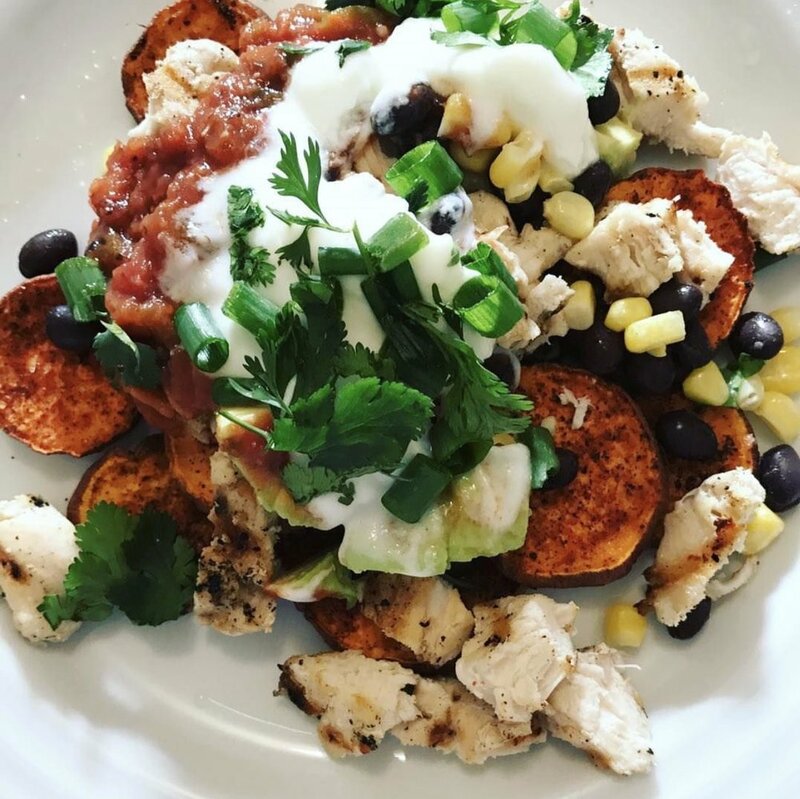 No crazy cravings this week, just insane hunger (duh, what else is new). Since I wake up a lot in the night I get hungry and have to grab a snack before I can back to sleep. And by snack, sometimes I mean actual feasts. My body has slowed down a lot this week. I had some weird nerve pain, along with lower back pain from hiking 8.5 miles while carrying Piper (not my smartest move), so I've done a lot of low impact exercises and stretching to help. Some days I feel awesome and my workouts are great, and other days a walk is all I can manage. I'm trying really hard to listen to my body's needs, rather than what I want to do. 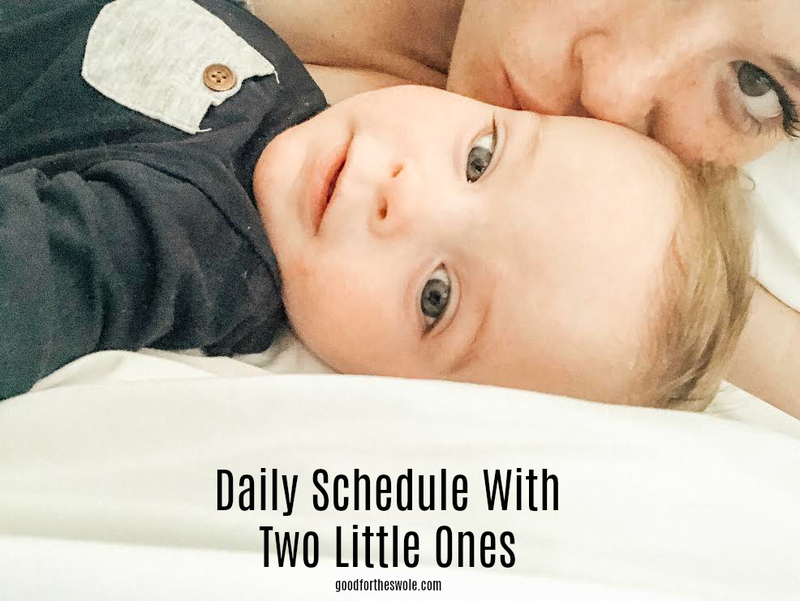 It varies (sometimes drastically) day-to-day, but I try to always do something because I always feel better, it's keeping my body strong, AND keeping our baby healthy. **My pregnancy workout guide is HERE, and I log all of my workouts HERE. I don't know if this is weird to mention (eh, probably just TMI), but I've been leaking colostrum for a few weeks now! I didn't start until I was around 37 weeks with Piper, but it weirdly makes this pregnancy seem way more real! I've been having braxton hick contractions for quite a few weeks as well, and it's exciting to me that my body is gearing up for this little babe's grand entrance. To be honest, this whole pregnancy has sort of flown by (even though I can't remember NOT being pregnant now), and I don't feel like I've had a chance to properly wrap my head around the fact that another little baby is really joining our family! With Jordan graduating, moving to Arizona, living with our in-laws all summer, and then moving to California...plus taking care of Piper, it's all just been one big blur. I'm trying to soak up every second of these last few weeks of being pregnant, along with these last few weeks of just Piper and I. I can't wait for this next phase we're going to enter, but I'm a little sad about leaving this phase behind, ya know? It's been one hawt minute since I've been able to get a blog post up. Between moving and my laptop being in the shop, it's been quite a struggle. We're here and settled in California now though (can I get a hallelujah, TYSM?!! ), and loving it so far! Happy Labour Day to you, and 26 weeks of pregnancy to me! Holla! Nothing specifically comes to mind, just FOOOD!! I've felt like a ravenous beast again this week, and it's really hard to keep up with my appetite haha. I try drinking tons of water, and eating lots of nutrient dense foods to fill me up a bit more, but man...I could go for a big buffet any time of the day. Piper was pretty active in my belly, but mainly just at night and when I worked out. This little guy is ALWAYS moving. Always. I never have to hurry and grab Jordan's hand to feel him move. He could put his hand on my stomach at any time and feel all sorts of wiggles going on in there. I'm not sure what position he's in, but I'll feel sudden jabs in 2 different areas at once. So he's either in the splits, and kicking both legs at the same time, or giving me a nice punch and kick at the same time haha. It's the coolest/weirdest feeling in the world. I'm a bit nervous for when he gets bigger and stronger, because his movements are already pretty aggressive ha. I haven't done any structured workouts this week because I've been on my feet all day, and moving/unpacking is quite the workout! I've also had some lower back pain/a pinched nerve, so I've been trying to take it easy. I'm excited for this week to get back to some structured exercise though because it makes me feel so much better, and I feel like I'm keeping my baby nice and strong. All in all, I'm still feeling good! I definitely feel pregnant now, and things are getting more uncomfortable up in here, but no issues out of "normal" pregnancy stuff. I just feel super grateful that everything has gone smoothly so far, and I haven't faced any major issues. I haven't had any blood clotting problems (still on the blood thinner shots every day), and my little guy is growing right on track! Only 13 more weeks to go! !